IronFX has branched into an impressive number of 180 countries all around the world. The 1,500 employees it has work in 60 offices and also offer support in no less than 45 languages. The share size of this broker makes it easy to give customized support to different people around the globe, regardless of the region. Also, the offer has very good pricing. This is offered because of the numerous liquidity providers IronFX collaborates with. This is one of the biggest and most respected new brokers in the business. It has Zero-spread accounts, Micro accounts, Premium Accounts and VIP Accounts. It is immediately visible that the Zero-spread account has a lot of disadvantages because it has high commission rates and the investor is unable to choose between fixed and variable spreads. These accounts are available in the following currencies USD, EUR, JPY, GBP, AUD, CHF, PLN, RUB, HUF, the exception being the VIP Account. It is a glaring omission that the VIP Account doesn’t have the option to contain any currency other than USD. There are also STP accounts: STP No Commission Account and STP No Spread Account that are self-explanatory and give the investor the opportunity to choose between paying commissions or spreads. There are also institution-oriented accounts – Affiliate, Affiliate Plus, Business and Managed accounts. 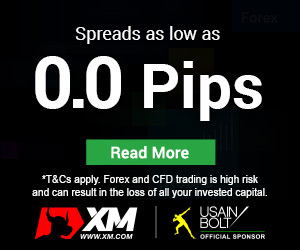 It is immediately observable that the commissions are lower for these accounts, because they start from 0.9 pips. It is necessary to be introduced by a broker in order to have this type of account. Customer support is offered 24/7 on a number of 400 lines. An impressive number of 46 different languages are provided to enable the customer to experience a dynamic online financial trading environment. Contact possibilities include e-mail and call-back functions. 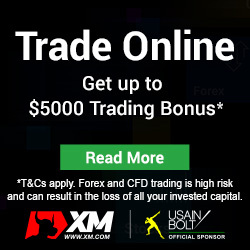 IronFX has been known as a broker that provides the best bonuses on the market. Recently (in early 2015) it has received a lot of criticism, as some of the traders couldn’t not withdraw from IronFX. While the executives of IronFX try to tell that these traders have committed frauds, Forex Bonus Lab has actually seen some statements and we couldn’t identify any sign of a fraud. This is why Forex Bonus Lab doesn’t recommend you to open an account with IronFX, at least within these times of uncertainty. If you are looking for a good broker, you may either try Plus500, a great broker with superior platforms.